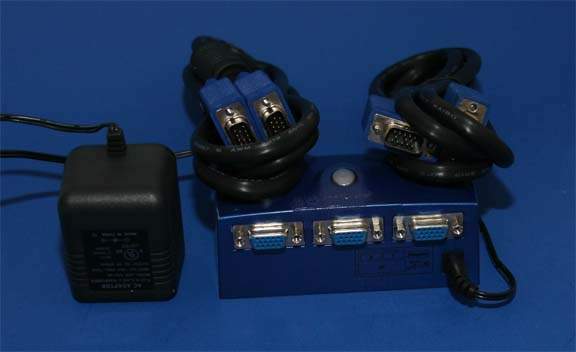 2 System to 1 Monitor Electronic Switch Kit. Includes two SVGA M-M 6' cables. Includes Electronic Switch with 120v AC Power Adapter. Allow you to connect two system to one monitor and Switch between them with a Easy Button on the switch.